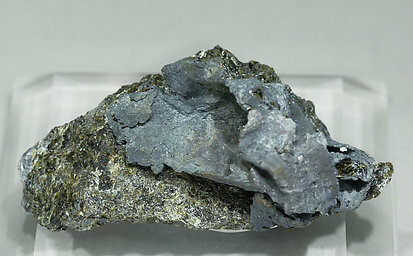 Very well developed interstitial laminar growth, the matrix is epidotite, a relatively uncommon metamorphic rock, formed almost exclusively of crystalline Epidote. 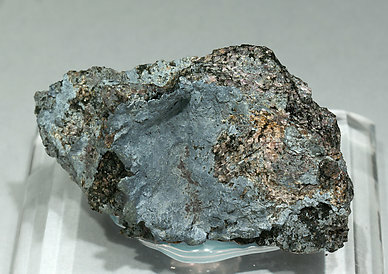 The sample is from a Swedish locality, classic for native Lead but that must not be confused with better known Långban. Very well developed interstitial laminar growth, on matrix, with Epidote and garnet. The sample is from a Swedish locality, classic for native Lead but that must not be confuse with better known Långban. 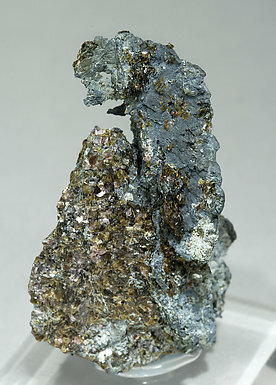 Very well developed interstitial laminar growth, on matrix, with Epidote, garnet and small reddish crystals of Litharge on the Lead surface. The sample is from a Swedish locality, classic for native Lead but that must not be confuse with better known Långban. Very aerial interstitial and laminar growth on a rocky matrix, with small mica sheets. 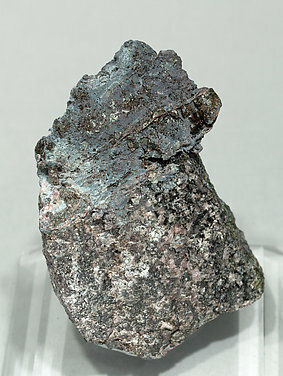 The sample is from a Swedish locality, classic for native Lead but that must not be confuse with better known Långban.